LP black vinyl 15track (61min) in heavy fold-out cover (gatefold-cover) is limited to 400 copies . Info: Variously labeled 'Wyrd', 'Psychedelic' or 'Avant Folk', IN GOWAN RING extend roots into poetic-folk traditions while cultivating an inimitable, self-attuned writing style that prefigured the new-psyche-folk movement. As poet, pilgrim, progenitor of wyrd-folk and maestro of IN GOWAN RING, Jon Michael Beirth (otherwise B'ee) has developed a homespun sonic tapestry with peculiar richness of vision; recording over ten full length albums and performing throughout North America & Europe in veritable itinerant fashion amidst a dozen years against the grain. As well as composing the original material for BIRCH BOOK & IN GOWAN RING, Bee collects renditions of traditional songs and builds many of the acoustic instruments featured in performances and recordings such as the recent lyre-guitar & leaf cittern. Though largely self-taught, he has didactically studied the music of the Trouvères and Troubadours, the counterpoint of the High Renaissance, and modern orchestration. 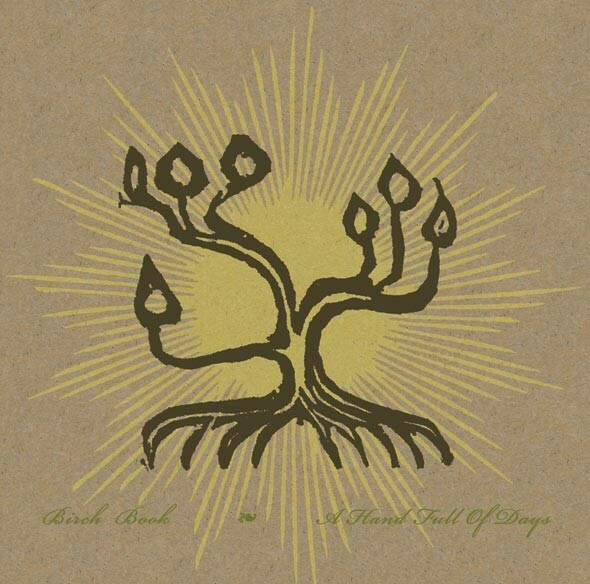 Customer evaluation for "BIRCH BOOK - A Hand Full of days LP (Lim400)"